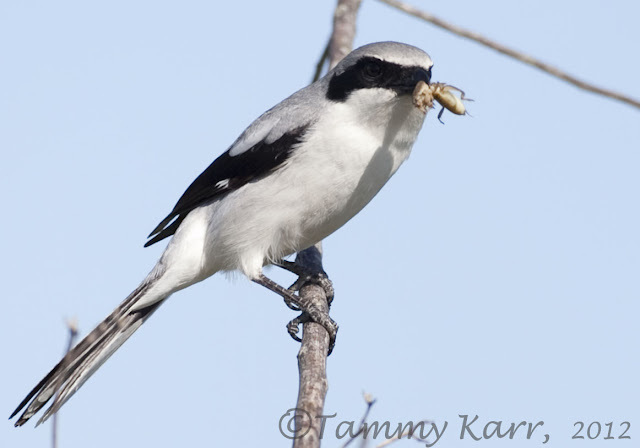 Loggerhead Shrikes use their hooked bills to capture and kills their prey, which are most often insects, lizards, mice, and sometimes even other birds. wish you a very nice day. A wonderful image Tammy, Loogerhead Shrikes are a favorite of mine. Thank you Mia! They are quite interesting birds! Thanks Rachelle! I'm not sure about the population, I do see them quite regularly around the wetlands. Ohoops, how close you have come this Shrike. We have the Great Grey Shrike in Sweden. It looks almost the same and they are usually very shy. Thanks so much Kenny! I tok the photos from the car as I very slowly passed them. Two very fine shots of the Loggerhead Shrike. Congrats on the sighting and capture. Thank you very much Larry! Great portraits. I really like shrikes actually. I wonder why it's called "loggerhead"? I have only seen "Brown" and "Bull" shrikes in Japan but any shrike is of interest to me as there are none in Australia where I grew up. They're not big but amazing hunters. Thanks Russell! 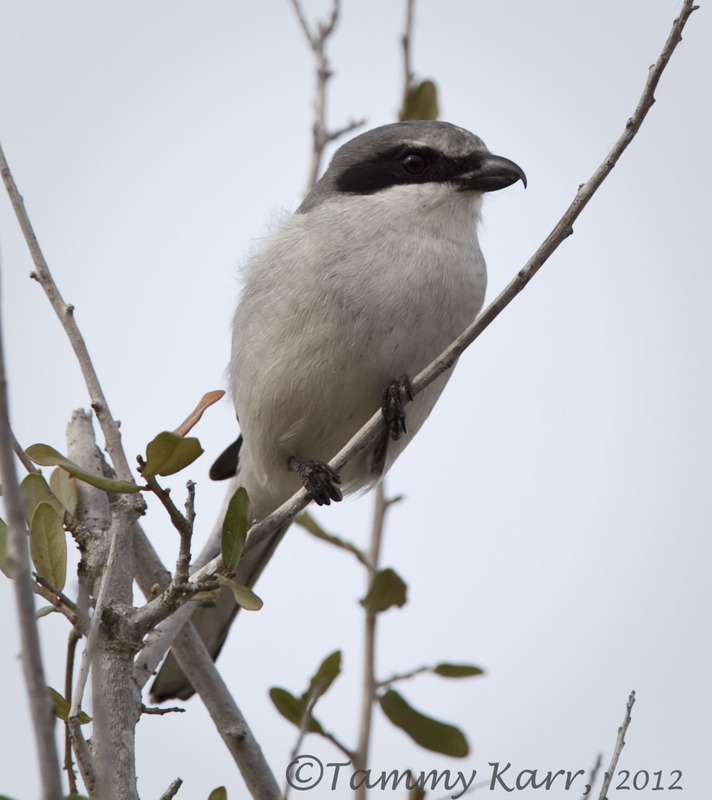 I am not familiar with the Brown or Bull shrikes as the Loggerhead is the only shrike found in this area. I believe it is called a "loggerhead" due to the large size of its head relative to the size of its body. Unas imágenes increibles. Felicidades Tammy. saludos desde Extremadura. ¡Muy bonitas fotos del alcaudón Tammy! Lovely shots of a stunning bird Tammy! Beautiful Shrike and superb camera work. Great set of shots, great little birds. That guy is so cool. Excellent composition work Tammy. Found a few in Los Angeles over the years. Wow, excellent shots, Tammy! Love the second one with dinner. Very nice! Bien captada agarrada a esa rama y con su presa en la boca, buenas tomas. Great shots of the beautiful bird. These are one of my all time favorite birds! Nice shots. Hola Tammy great shots... Me encanta este pájaro... Greetings..
Great bird, superbly photographed Tammy. Great shots, Tammy. Looks very like the Grey Shrikes we see as rarities here. However, the only shrike I've seen is a Woodchat Shrike about this time last year. A picture of it on my blog somewhere!